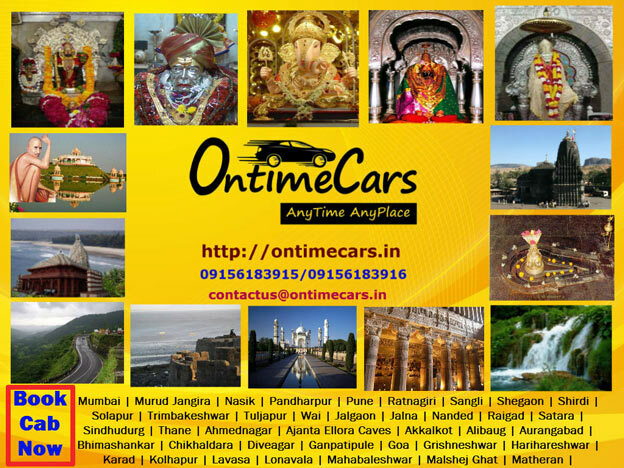 OntimeCars.in – Your Trusted Travel Partner!!!!! – Discounts for every trip planned through us and booked in advance. – Car Rental Service at Cheapest Fare for Airport Pickup & Drop, Local sightseeing, Outstations Trips etc. – Taxi Hire Services for Tours & Trips, one day tour, half day tour, full day tour etc. – Online Cab Booking Service for faster and hassle free booking. – Travel Agent Services for helping customer to get best offerings for tours and travels at one place. – Cab Services for tours in between Pune & Mumbai and from Pune & Mumbai to other cities.